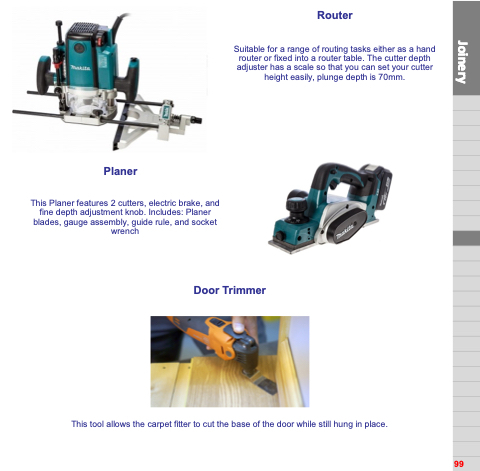 Suitable for a range of routing tasks either as a hand router or fixed into a router table. The cutter depth adjuster has a scale so that you can set your cutter height easily, plunge depth is 70mm. This tool allows the carpet fitter to cut the base of the door while still hung in place.